Everything was spot on. Friendly staff awsome facilities. 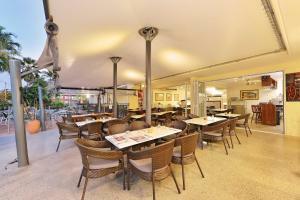 The location is just perfect, quite near a grocery store and a short drive away from the Esplanade. The apartments were very well equipped and comfortable. Lady at the front desk was very kind and gave us a bunch of tips on what to do. This hotel was very clean and a reasonable distance to allow for a walk to the downtown core. It was 5 mins from the beach. There are two sides: traditional and modern. I suspect the modern side has nicer rooms, but the traditional room in which I stayed was adequate. Due to the fact that this complex is one of the older ones in Cairns it is very spacious compared to newer complexes. One block from the Esplanade. Good access to highway for getting to botanical gardens and other points of interest. Beds were super comfy, the early check in was super helpful and the balcony was lovely. The staff were friendly. I arrived early and that was perfectly fine. The room was clean. Smelt fresh. The tiled floors helped the clean feel. Bath room was excellent. I loved the big square shower head. The rooms are huge. TV worked. Air-con worked ( this is usually an issue for me). Location is great. You look at the hospital and the esplanade is only a block away. Will definitely stay again. I couldn't fault it. The sun block curtains do an amazing job. Large comfortable apartment handy to CBD and airport. 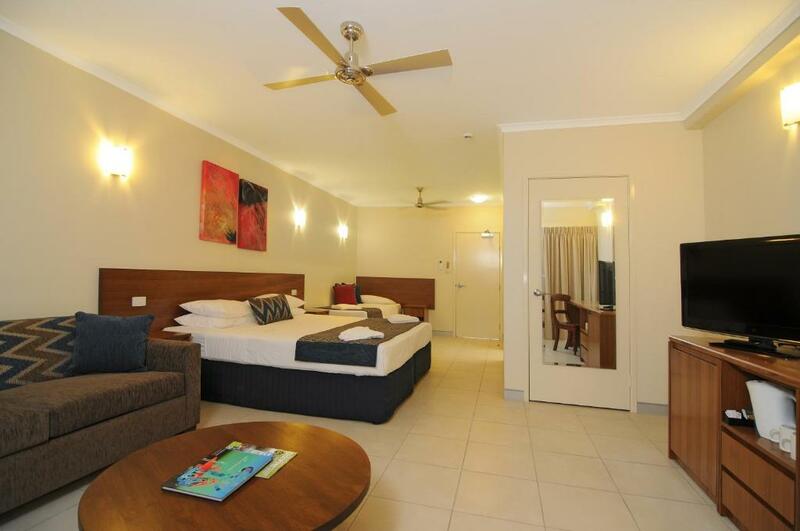 Lock in a great price for Cairns Queenslander Hotel & Apartments – rated 8.1 by recent guests! Cairns Queenslander Hotel & Apartments This rating is a reflection of how the property compares to the industry standard when it comes to price, facilities and services available. It's based on a self-evaluation by the property. Use this rating to help choose your stay! 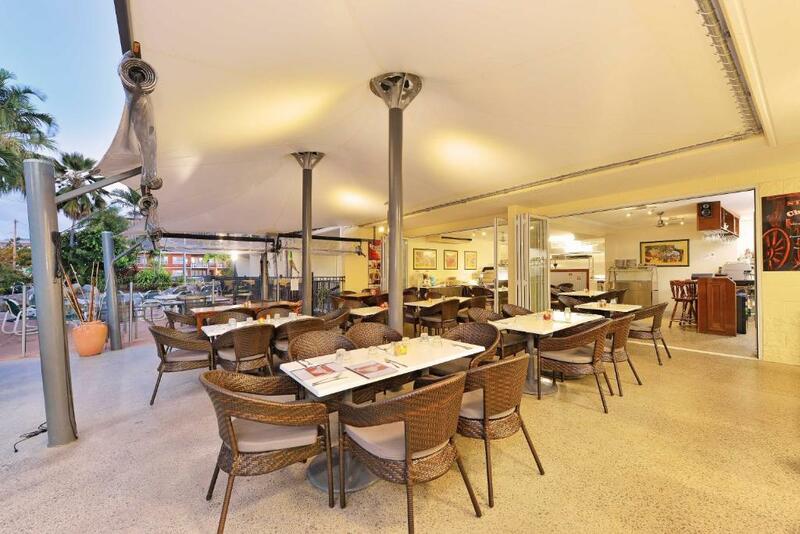 One of our top picks in Cairns.Offering free WiFi and 2 swimming pools, Cairns Queenslander Hotel & Apartments offers 4 star accommodations with a private balcony. The property is located within easy walking distance of the Cairns Esplanade and waterfront. Cairns city center is within a 20-minute walk. There are many restaurants and convenience stores nearby. Cairns International Airport is a 12-minute drive away. When would you like to stay at Cairns Queenslander Hotel & Apartments? This suite offers an open-plan living space, which includes a kitchenette and a dining area. The attached balcony comes with a seating area. Please note that the price is based on 2 guests. Maximum occupancy is 3, including a maximum of 1 child. (see Hotel Policies). This apartment includes a kitchenette plus dining room, living room, and a private balcony. Please note that the price is based on 4 guests. Maximum occupancy is 5, including 3 children (see Hotel Policies). This air-conditioned room features modern interiors with a private balcony and flat-screen TV. Please note that the price is based on 2 guests. Maximum occupancy is 4, including 2 children (see Hotel Policies). These modern apartments are fully air-conditioned. Features a private balcony, a kitchen and a separate living room with flat-screen TV. Please note that the price is based on 2 guests. Maximum occupancy is 3, including 1 child (see Hotel Policies). This spacious and self-contained apartment features 2 separate bedrooms and a large living area. Please note that the price is based on 4 guests. Maximum occupancy is 6, including 2 children (see Hotel Policies). Great Location only short walk to the Esplanade waterfront and you'll meet the friendliest & most helpful reception staff in Cairns . Apart from having a wonderful array of rooms types to choose from we have Cairns Greatest char-grilled Steaks served in our restaurant ' Steak on Lake'! On arrival logon onto FREE WiFi , available on the property & in your room. 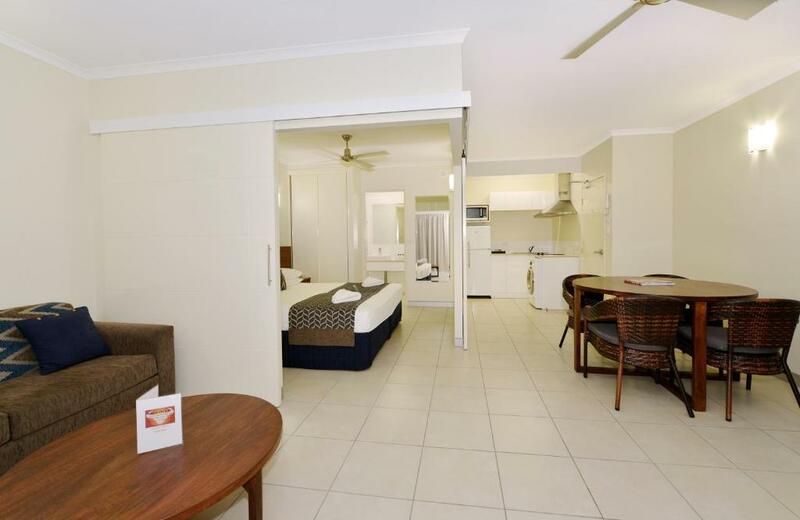 Welcome to the Cairns Queenslander Hotel & Apartments, Enjoy your stay! We love seeing happy guests at the Cairns Queenslander! The Cairns Queenslander is located at 267 Lake Street , easy walking distance to the Esplanade, convenience shopping, bottle shop, supermarket, deli, bank and many nearby restaurants to choose from. House Rules Cairns Queenslander Hotel & Apartments takes special requests – add in the next step! Debit card Cairns Queenslander Hotel &amp; Apartments accepts these cards and reserves the right to temporarily hold an amount prior to arrival. Cairns Queenslander Hotel & Apartments accepts these cards and reserves the right to temporarily hold an amount prior to arrival. Please inform Cairns Queenslander Hotel & Apartments of your expected arrival time in advance. You can use the Special Requests box when booking, or contact the property directly using the contact details in your confirmation. Very comfortable hotel not far from central Cairns, although the walk back after an evening meal was a little longer than we'd hoped for. More central hotels are more expensive so it was a good balance of location and price. Very hard to criticise the only thing I could suggest is providing airers to dry clothes rather than using the dryer. Seems crazy to use electricity when it's so warm the laundry would air dry! Pretty much everything. Very friendly and helpful staff, clean, well equipped rooms. Pretty central and convenient for esplanade. The restaurant is very basic and uninviting but there are so many fantastic restaurants in town. The hotel is well located for Cairns centre and activities. The receptionist was extremely helpful and informative. The complimentary laundry facilities were very useful. Out of all accommodations i have ever stayed at this place is the best and I would love to stay there mpre often. My only choice for accommodation in cairns. Location is OK. Room was a little dated but had hot water facilities as well as electric fry pan, microwave and toaster. We liked the location. It's a nice walk via the esplanade into the centre . Daily room service is not very clean. Staffs didn’t take out the rubbish. There’re some stains on the blanket. Outside lights made sleeping in the master bedroom very difficult. They always accommodate room preference where possible .